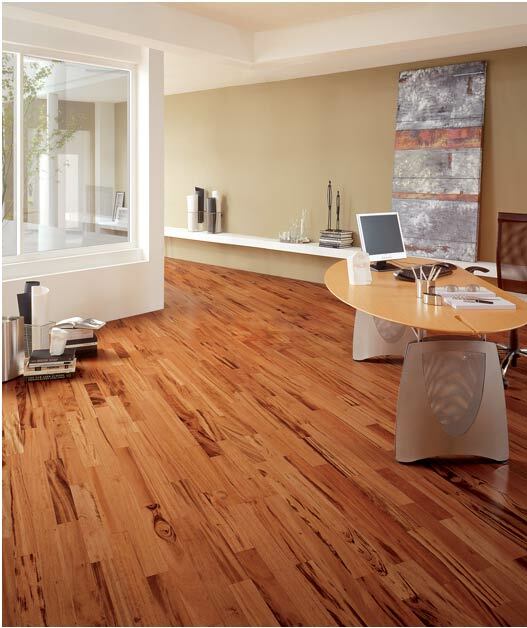 Tigerwood is a beautiful exotic Brazilian specie which provides one of the most special floorings you will ever see. 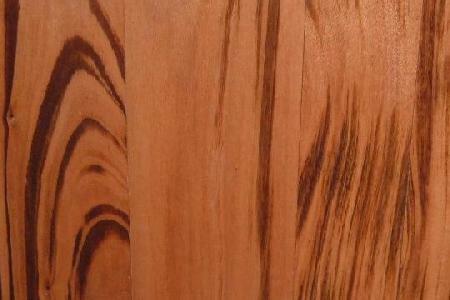 Tigerwood is so called because it has a dark orange color with dark veins which give it a tiger-like look. Tigerwood will darken slightly to a redder tone with exposure to sunlight. We are currently offering Tigerwood Prefinished and Unfinished. 2.25" Wide : $ 3.99 p/sq.ft. 5.00" Wide : $ 5.59 p/sq.ft. 3.00" Wide : $ 4.59 p/sq.ft. We produce our Tigerwood flooring as well as all our other products at our own mill in Brazil under strict quality control ensuring the highest quality of the products delivered to our clients. As the Tigerwood flooring is produced by us and sold directly to customers, we are able to offer the lowest prices in the market, without compromising the quality of the material. There is no catch - we want to offer our flooring at a fair price to clients which are looking for the beautiful Tigerwood flooring. All of our offered flooring products, are of a Select & Better quality grade, including our rich Tigerwood Flooring. The Quality Grade is the highest available for exotic species. It means the flooring is free of any defects and allows the natural color variation which exotic species, as Tigerwood, present.